College Says No Decision Yet on Priority Housing for Hanson Basement Residents | The Gettysburgian. 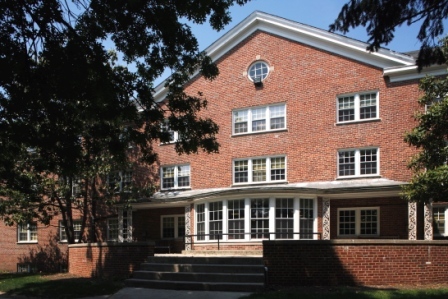 Gettysburg College is denying a report that students displaced from Hanson Hall basement by the mold will receive priority lottery numbers in the sophomore housing lottery this year. The report, released by Gettysburg News Network Friday, suggested that a decision had been made to offer those students affected by the mold priority housing, but Jamie Yates, Executive Director of Communications & Media Relations, is denying that claim. “No decisions have been made,” she said in an email to The Gettysburgian. Yates said that at this point the college is focused on remediating and cleaning the building to provide a safe and healthy environment for all residents, and that any housing process decision would be made later on. “The Office of Residential & First-Year Programs will respond to all housing inquiries in the coming weeks and prior to the start of the 2018-19 housing selection process,” Yates said. The only sources mentioned in GNN’s report were Yates and Associate Dean of College Life for Residential and First-Year Programs Keira Kant, the latter of whom declined to comment for that report. Multiple sources familiar with the matter said that while the possibility of priority housing for former Hanson basement residents has been discussed, no decision has been made, confirming Yates’ comment. Yates clarified Friday evening that the initial email was sent when the college believed only the basement was affected. Now that the entire building is affected, the calculus has changed. Over winter break, the college detected moisture and mold above the ceiling in rooms in the Hanson Hall basement and decided to relocate all residents living on that floor. Last week, Kant said in an email to Hanson Hall residents that, while air quality tests suggested no cause for concern on the first, second, and third floors, a visual inspection indicated the presence of mold, and, as a precaution, the college decided to begin remediation work immediately. Each floor will be professionally reassessed prior to student occupation. Why would a move to another freshman dorm be a hardship rating priority housing for next year? Aren’t all former Hanson basement residents safely housed in Gettysburg dorms equal to their former accommodations? Some students were also moved to create space for Hanson basement residents. Are they also being considered for this perk? Why not just leave the process as it it published on the website?